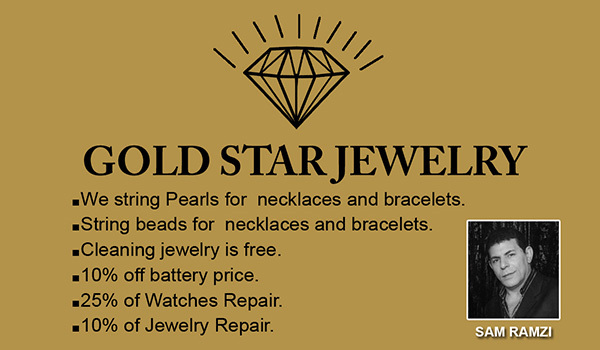 Goldstar is a jewelry store that specializes in repairs. Goldstar Jewelry has been located on the corner of 6th and Fairfax for more than 20 years. They specialize in selling and repairing fine jewelry and watches, including the stringing of pearls and beads. They also do engraving as well as custom designed pieces of fine jewelry.